Prepare an XLIFF export file with the desired target language. Send the XLIFF file to your translator as an email attachment. The translator opens the file in Linguan for iOS and edits the translations. The translator emails the edited file back to you. You import the file, and save the updated translations. 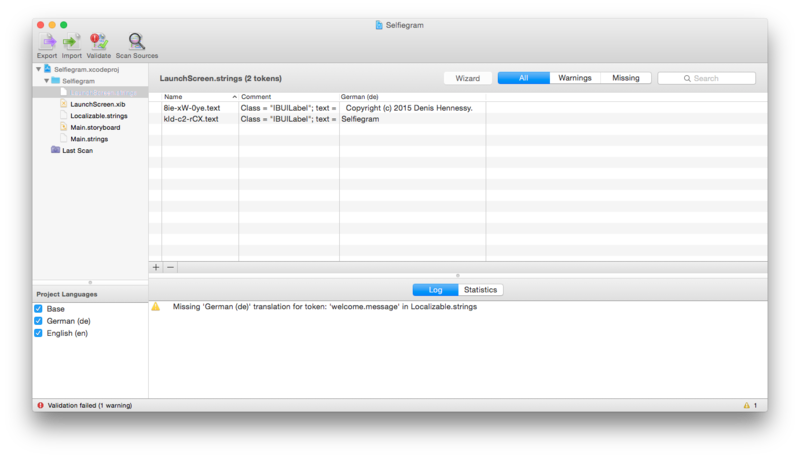 First, open your Xcode project file using Linguan. Click Export, select 'XLIFF File' as the export type and select the target language. It's best to choose 'All Tokens' - the translator will be able to filter just the missing translations in the mobile app. If you're doing this for several languages, it's a good idea to add a language suffix like '-de' to each file. Attach the exported file and email it to your translator. 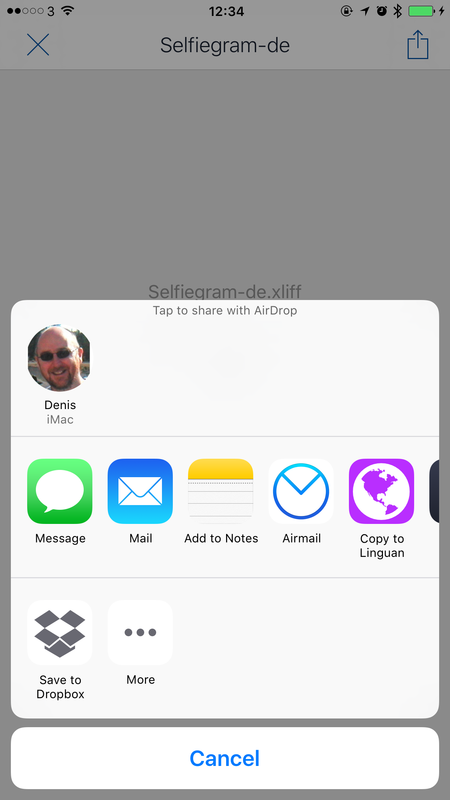 Tap on the XLIFF file attachment in your email and choose 'Copy to Linguan'. 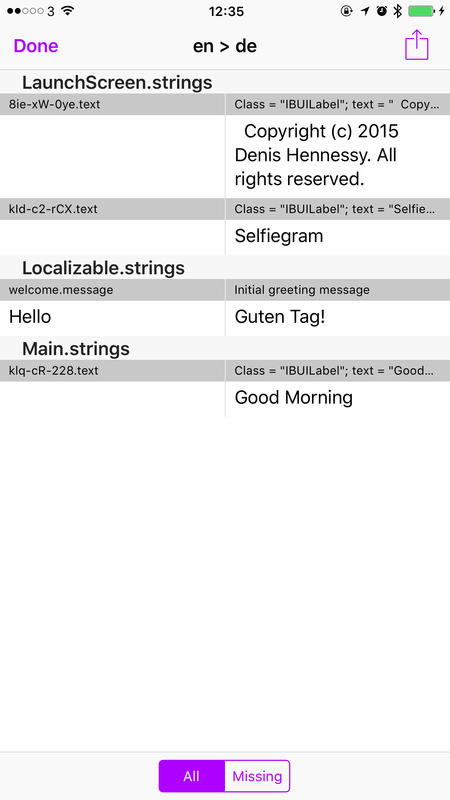 The Tokens screen will show all the translatable tokens in the XLIFF file (you can choose to view only the missing ones if you like). 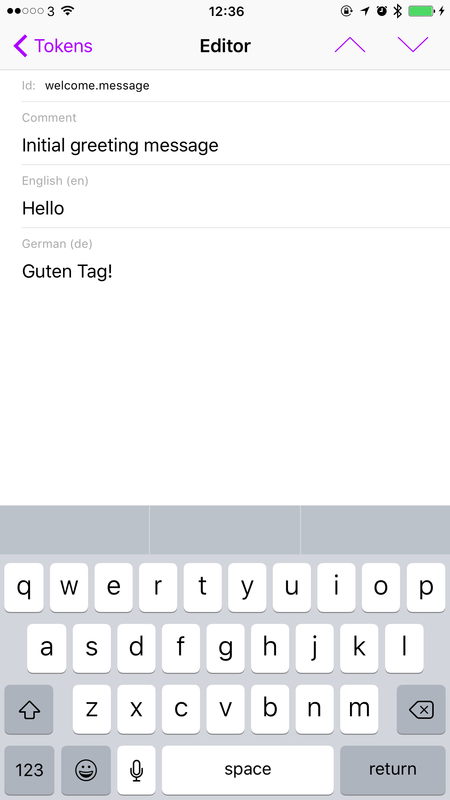 Tapping a token allows you to edit the translation. Once you've finished editing or reviewing the translations, return to the Tokens view and tap the Share button in the top right to email the file back to the developer. 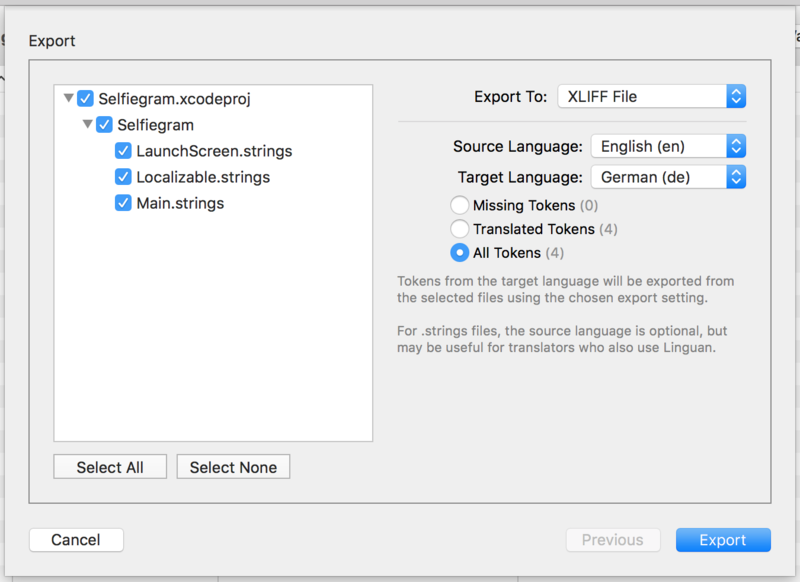 With the Xcode project open in Linguan, click Import and select the XLIFF file. This is probably a good time to click Validate to check that there are no overlooked translations. Once you're happy with the changes, save the changes back into your Xcode project.